OZ Roof Roof Restorations & Roof Repairs Sydney are experts in Tile, Metal & Colorbond Roofing, Guttering & Roof Ventilation. Servicing an area which includes Sydney, North Shore, Eastern Suburbs, Bankstown, St George & Sutherland Shire, OZ Roof Roof Restorations & Roof Repairs are fully qualified and insured roofers with over 35 years of combined experience. 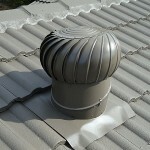 Roof Restorations often involve working in with other building contractors during home makeovers or renovations. Many homeowners who are putting their home on the market will often arrange a roof restoration not only to improve the overall appeal of their home but also to avoid or rectify a negative building inspection. Real Estate surveys show that the roof of a home is the second thing prospective buyers notice after the front of home landscaping. Roof Restorations can include the replacement of the entire roof or just sections of the roof which are past the point of repair. Buildings which are undergoing a complete face-lift almost always include a roof restoration as part of the whole package. 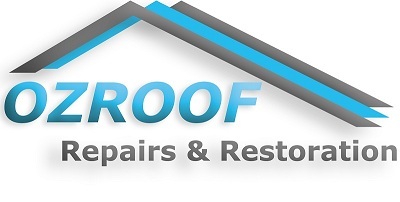 OZ Roof Roof Restorations & Roof Repairs will come to your home or commercial premises and prepare a thorough report and quote on all your roof restoration requirements. Roof Repairs are often a crisis management item. Be it after a severe storm or heavy rain, the realisation that Roof Repairs are required is usually something that comes on quite suddenly. With expertise in Tile Roof, Metal Roof & Colorbond Roof Repairs OZ Roof are geared up to attend to your situation as quickly and as efficiently as possible. If your home or commercial building is within the Sydney, North Shore, Eastern Suburbs, Bankstown, St George & Sutherland Shire area and you have a Roof Repair Emergency just call (0412) 330 870 or (0413) 029 505. If your gutters have seen better days or are simply not coping with the amount of water coming off your roof then perhaps it’s time to consider fitting new guttering. OZ Roof have a large range of guttering in different styles and colours to suit any building. Roof Ventilation is one of the most cost efficient ways of making your home or commercial building more energy efficient and comfortable Summer or Winter. By expelling the heat and moisture which build up in the roof cavity and upper ceiling space your home / office / shop / warehouse / factory you allow your heating / cooling systems to operate more efficiently and use less power. OZ Roof can supply & install the most suitable roof ventilation devices to your roof depending on which device is best suited for your building. For more information or to arrange a no obligation roof consultation & quote contact OZ Roof Restorations & Repairs on 1800 722 082 or (0413) 029 505.